TM-600 ADSL2+ Tester specially designed for xDSL line test (xDSL include: ADSL, ADSL2, ADSL2+, READSL etc) and maintenance It provides xDSL test, PPPoE dial test, DMM test, Modem emulation, line voltage indication and so on. 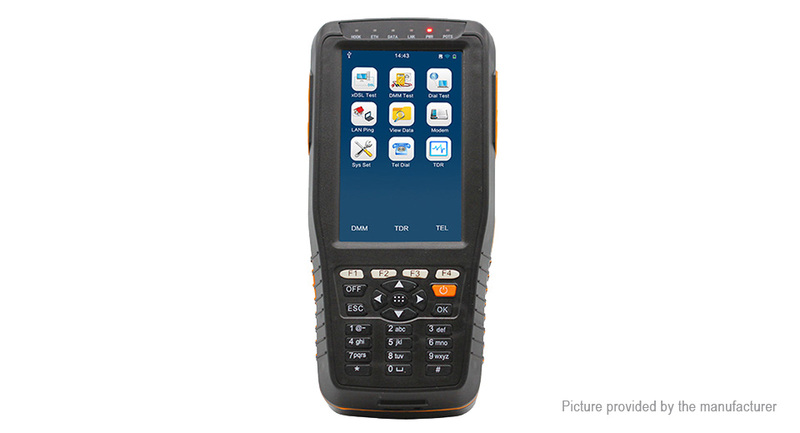 It is one multifunction tester with smart size, true color LCD and powerful management software as well as the 6600mah rechargeable battery etc. Modem Emulation (Replace the user Modem completely). Ping Function (WAN & LAN). Data upload to computer and software management. Setup system parameter: backlight time, shut off automatically time without operation.